It was a riveting story, a piece of Steelborn oral tradition that had been passed down for generations and the magistrate was an exceptional storyteller. He was able to weave a tale so entrancing whilst pointing at the murals, that he seemed to bring them to life. Using them, he actually conveyed the story as if he had experienced it himself. Like it had happened just yesterday and not centuries ago. It was not necessarily the traditional recital of what Valerian would later come to know as “The Epic of the Menhirionn”, but one even more detailed. He presented the hopeful and curious, newly born Menhirion as he learnt about his world. The sense of triumph the young steel monolith had after his first kill. Of the even greater triumphs that came later. The first territory, horde and then family. He painted the image of a burgeoning great and glorious people gaining accolade after accolade and accomplishment after accomplishment. Of illustrious ancestors and their feats. Of how the entire Menhir range seemed to tremble when its children yelled their exultation to the heavens at having become its uncontested overlords. He went as far as to evoke in his audience a sense of merriment that came with the decennial celebration. The joy of family together, the peace and security that it provides. In the background, he portrayed the villainy of the subordinate clans and their evil actions whilst building a great trepidation leading up to the discovery of their treachery. Then, he began the tale of the conflict that followed trying to arouse the anger and rage of his spellbound captives even as he created a wretched picture of the suffering and dying Menhirionn. Even seeming to weep a few tears himself as he recounted their plight. By this time the number of people in the memorial had tripled but the place remained eerily silent with the exception of the formerly sleeping ancient elder who was now playing a harp as accompaniment. The occasional gasp could be heard like when the magistrate got to the part were he depicted the aftermath of the massacre. The many that lay dead and the horror that remained despite the valiance of the Menhirionn and the sacrifice of their warriors. The sight that Aeron encountered when he got to the supposedly safe haven. He emphatically condemned the betrayers. The oath breakers who not only ignobly used poison but went as far as to desecrate the corpses of those more noble that they. Who violated their ancestors’ souls in an attempt to avert their eventual retribution. He spoke of the bravery of Aeron, he who became the leader of the Steelborn. How he would rather let the daemons of the Wildlands devour him that let the enemy reach their ugly fingers into his soul and how he inspired the clan to flee into the Wildlands. The thing that saved them and allowed the Menhirionn line to survive. By this time, the magistrate’s account was three times longer than the usual, so he began bringing it to a close. He spoke first of some of the terrors of the Wildlands like the Profound Steel Drake that followed the party for weeks trying to consume them for their steel essence and bloodline. The terrible weather and the many other dangers that Aeron’s party overcame. He extoled the names of all who lost their lives before the group finally adapted to the Wildlands. When he got to the part where Aeron, before his death, finally convinced the StormHawk to become their guardian spirit, the assembled listeners cheered. The story ended with an army recruiter spotting the patriarch. A dangling hook that implied the great things to come. The audience began to depart, noisily discussing the recital but Valerian continued to sit there, slowly taking this in. The story cleared up a lot about his clan. Like why the steel monolith transformation was called their true form. It also, however, made him realise that he knew little about the family and the world was he was in. Still, there were things that bothered him. “Excuse me?” his grandfather asked. “Why did they attack us? What reason did the other clans have to betray us?” he asked confused. That was one of the sore points for him. Presumably, the other clans were so trusted they were invited to family traditions and lived in their range. So why did they turn against them? “Well, to start with the subordinate clans were formerly powerful clans of the Menhir range until they were conquered by the Menhirionn and made into subordinates. Whilst the millennia that passed may have lessened the original feelings of resentment, no one really likes being under another’s thumb. “Servants act against each other and their masters all the time. They probably saw a way out of their indenture and a quick route to more power. Besides that, there was as always greed. They wanted what the Menhirionn had”, his grandfather tried to explain. “What did the Menhirionn have that the other clans would massacre them for it?” Valerian inquired. “The Steel heart”, a strong voice came from the side. Valerian turned his side to see a middle-aged man in dark blue Steelborn armour. His hair was long and dark but his beard thought nearly as long possessed a grey streak down the middle. He sat there leisurely idly stroking his beard. However, Valerian hadn’t noticed his appearance before that moment and from the sharp intake of breath coming from the others they hadn’t either. The man laughed. It was a strong booming laugh, one a lot like Richard’s but less strained and revealed more laughter lines around his eyes. “Not this steel heart. The original one. This one was named such because some royal official managed to overhear a couple of dumb elders discussing the steel heart. The Steel Heart of the Menhirionn was the sacred place where the first ancestor spawned. “It was our first abode and as we grew became both temple and vault. Distinguished individuals were buried in it, as well as a rather significant portion of our treasures. Not ordinary treasures, just the ones that qualified to be placed in the most sacred territory we controlled. In the same room as our guardian spirit and our exalted dead. “Everyone in CrystalSpur knew of the Steel Heart and all of them wondered about its contents like you are doing now. It was the subject of numerous fables and fantasies. Many dreamed of seeing it, even more of acquiring a portion of its wealth but they knew they couldn’t. “No one would dream of directly going against us and whatever we put to guard it. It was common knowledge that only the main branch of the Menhirionn could even access it and only the clan head could open and close it”, the man spoke. Valerian was painfully aware of his grandfather’s silence and the fact that besides their little group there was not a single person left in the memorial. Even the ancient, harp playing elder had disappeared. He put it aside for the moment. It was not his current concern. Instead, he asked. “Not exactly. Family bindings are not as specific as personal ones. They work of the signatory’s blood and essence signature but relate it to others,” the armoured gentleman explained. “That’s why people who carry similar blood and essence can access them. All they really needed to do was kill everyone related within six generations of the primary connection, in this case, the clan head, to cut off the main line. “If they could do this before someone else became the primary connection then the bindings would be removed since there wouldn’t be anyone with a close enough blood connection. As it happened, Aeron was the nephew of the clan head and his bloodline was only two generations separate from the main bloodline so they failed. “Aeron, at least, survived and his line continued, his blood passing on through us. That means the bindings were never undone and that the Steel heart is still sealed provided they did not find some other way in”, he ended. “So they failed their main objective? Good! Serves them right!” Valerian grumbled. “Yes, they failed. We survived, but at a cost.” the other said wistfully. “A cost we’ll eventually repay many fold”, Valerian stated darkly. “You young folk somehow always misunderstand the purpose of the induction. We don’t do it to induct warriors for the destruction of the four clans nor is it a call to arms. It is one created to preserve our history. To show the heights we once reached to motivate us to make that climb again not so we can lament our fall. “It is a lesson that we should learn from. A warning of the folly of blind trust, arrogance and lax guards. A reminder of the virtues of self-reliance, courage and ingenuity. As well as an explanation of our current way of life. “To tell you why the decennial celebration is a solemn one and not a raucous one. Why we celebrate it alone, close our doors and seal off the clan compound when it is in progress. The importance of the StormHawk and how the only people we can truly rely on are ourselves. Our family. It is to teach you of caution, even of those you call friends, as well as imprint on the newly initiated the importance of power and teamwork. “There is a reason why our clan compound is separate from that of the other noble clans. Why we produce our own food and mounts. Why we police ourselves. Why we stand alone, without allied or subordinate clans. Why we must remain strong. All of this so that we do not fall the same way our ancestors did. “Finally, it is to remind us that the Menhirionn are gone. They are our past and we are to venerate them but not be them. We are Steelborn, not Menhirionn. We face different danger and circumstances and have different goals. Our goal is the rise of the clan. Nothing else”, the man said. He chuckled at the beginning but towards the end, he grew more and more serious. “So, you are telling me that those who did this to us should go scot-free?” Valerian said. “That is not what I’m saying”, the man defended. “You’re telling me that if you had the chance today and had them within your power you would let them go unharmed?” he prodded. “I’m not …” the man tried to say but Valerian interrupted him. “You’re telling me that when you think of our suffering at their hands, of the destruction of our home, that we’ve been effectively forced into exile or of their betrayal, nothing stirs in your heart?” he added. “You’re saying that we should forget. That it means nothing!” Valerian stated. The man looked at him exasperated at not getting a word in. “I understand the lessons you mentioned, believe me, I do. I also comprehend the fact they are beyond us. What I do not understand is why you’d remind us of our loss and then say that we should forget it. If it was just a matter of us being too weak to entertain such thoughts or a warning against violence then I would but you are saying something different. “From what I glean from your words. You seem to be severing the connection between us and the Menhirionn. Like they are a different people. Despite the fact that all we have changed is our surname. To you, somehow they are not family but distant figures. Their sacrifice doesn’t matter, their loss isn’t one”, he continued. “You want to put it behind you. Even though you use their legacies, their teachings and carry their blood. All you’ve communicated to me is a desire for glory and greatness as well as a distrust of others. That what matters is contributing to the here and now. It makes me wonder. The man looked at him, mouth slightly agape. He couldn’t think of a response at the moment. This stunned state was a combination of shock that the boy would speak that way to him and failure to come up with an objection. Just then, for the first time since the man’s appearance, the magistrate’s voice rang out. “Never min, him Valerian. What you see is a sample of the callous, consequentialist thinking that plagues the older and upper echelons of the clan. The same kind that only cares what a person has to contribute and how that plays into the Steelborn agenda. The kind that is prepared to cast you aside if you have nothing good to provide. It’s good you’ve caught on early”, he said. Valerian looked over to see his uncles nodding in agreement. The man’s face twitched for a split second before recomposing itself into his formerly cultured visage. He then got up to face the magistrate. “I have no idea how this meeting turned out this way. Can we ever speak without this topic somehow cropping up Valan?” the armoured man questioned. “I did not bring it up this time, father, you did!” the man pointed out in response. His words made Valerian recoil in shock. This man was Roland Steelborn, his great-grandfather, the patriarch and the most powerful man in the viscounty. That’s who he had been talking to. He quickly re-evaluated the man. Besides its colour, his armour didn’t look that special. He had the general Steelborn physique and to be honest very little about him actually stood out. Standing in front of his grandfather like he did it was easy to see that they were related. Only, he looked like the magistrate’s son instead of the other way around. He looked younger and more robust than his son. An impressive feat given that he was more than half a century older. “As always, I’m surprised at you. You know full well how necessary our policies are to the continued wellbeing of the entire clan. How important it is to defend our position and our people from the many forces that work against us”, the patriarch was busy saying. He was cut off by a raised hand. Everyone in the room recognised the gesture. ‘Oh! So that’s where that comes from’, Valerian noted mentally. “I presume that arguing with me is not the reason that you’ve come here”, the patriarch inquired. His son nodded silently. Seeing that, he put the raised hand down. “Good! Then let’s get to that instead of this argument that never gets anywhere”. Meanwhile far away in a secret chamber, a meeting was starting. Dorian Veldt looked on as the various lords filled their seats. Many had started arguing already, complaining of some the recent Steelborn actions. It was always like this. Their secret society had been created to combat the injustice of having a filthy hitherto unknown barbarian clan come straight out of the Wildlands to rule them. He remembered the old days when they had been progressive and proactive. There had been vigour then. Then two clans got annihilated and their numbers dropped. Now, they just met up to complain and plan their reactions. That drive from before was gone and he was sure that if not for the oaths binding them, some would have defected years ago. This had to change. It would change. He had a plan. However, there were many things he had to get ready first. Once they were done with their current agenda, he’d get to work and then the Veldt would rise to their rightful position as lords of the Dales. As for the Steelborns, they‘d rue the day they usurped their position. LupineKing writes under a pen name because his real name is eleven syllables long and virtually unpronounceable to most people. He lives in Accra, Ghana where he creates his fantasy worlds and ambitiously thematic stories. Get all latest content a few times a month! 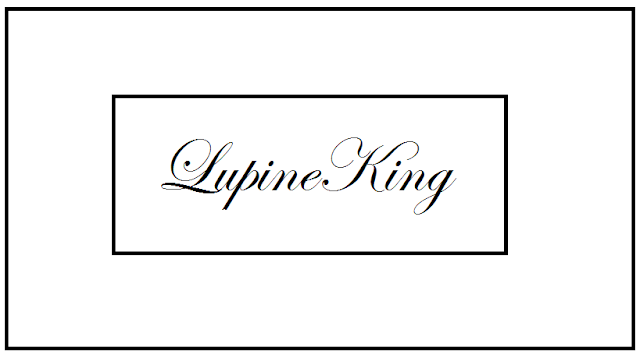 This is the official site of the writer LupineKing. It is home to his works; Heavenward on Golden wings, a qihuan-esque high fantasy web novel, Dungeon Core/ Realm Heart a litRPG staring a sentient dungeon as well as a blog that you should definitely check out. Please, LupineKing works really hard on this site. Do not copy or make use of this site or its materials without express permission and attribution. Stay up to date by having news of the all latest content delivered to your email a few times a month.